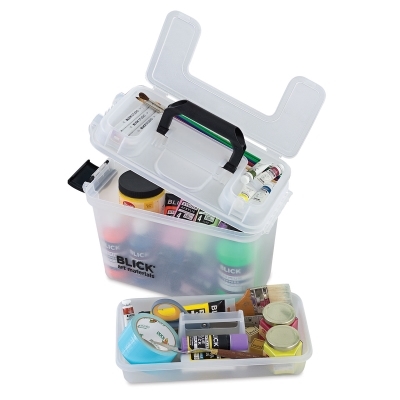 This sturdy tote offers an economical way to transport, store, and organize your art supplies. 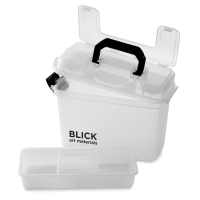 Made of tough, translucent polypropylene, the box has a side-opening lid and secure latch. Additional storage in the top of the lid accommodates smaller items, while a lift-out tray reveals a generous bulk storage area beneath. A comfortable carrying handle makes it easy to transport your supplies wherever you need them to be!